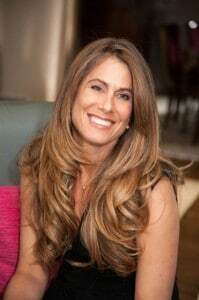 Amy Cramer: Following a five-year stint as a marketing executive at People magazine (1989–1994), co-author Amy Cramer founded a fitness-based direct-marketing company, Highpoint Communications, which she sold in 1998. When she and her husband converted to veganism in 2007 to combat Ken’s chronically high cholesterol, Amy retreated to her favorite room in the house—the kitchen—to drum up some tasty recipes. 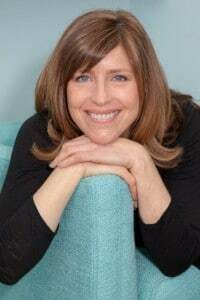 Amy has taught private vegan classes throughout Ohio, and in New York City and Westchester County, New York, and has been a guest lecturer at Bronx Community College. She also offers one‑on‑one vegan coaching to those who need more guidance and handholding. Whole Foods Market frequently invites her as a guest instructor. A rising vegan culinary celebrity, Amy is frequently cited in food and health blogs and has been touted in the local press. She lives with her husband and three children—Cai, Liv, and Cam—in Boulder. Lisa McComsey: An award-winning copywriter, co-author Lisa McComsey graduated from Bucknell University with an art history degree and has worked on staff and as a freelance copywriter for a variety of publications, including Vogue, People, Life, Real Simple, Vanity Fair, Bon Appétit, GQ, House & Garden, Brides, Condé Nast Traveler, InStyle, the New York Times, and Every Day with Rachael Ray. She currently serves as copy director for Allure magazine. Lisa co‑owned a marketing company for seven years before venturing off on her own as a freelance writer and marketing consultant in early 2010. A two-time recipient of the Time Inc. President’s Award for Outstanding Achievement, Lisa is also an award-winning Toastmasters speaker. She cultivated a love for rice and beans while living in Costa Rica and Baja, Mexico, during a three-year volunteer teaching stint—giving her a taste of what was to come when she decided to go vegan in 2009. An avid bicyclist and runner, Lisa has completed twenty-five marathons (five of them plant powered), several century rides, and a handful of triathlons. After growing up at the Jersey Shore and vowing “never to go back” once graduated from high school, Lisa returned to her roots and happily resides a few miles from the ocean. Caryn Hartglass: Hello everybody we’re back! I’m Caryn Hartglass and this is It’s All About Food. I’m very excited about this right now. I went to a little university in a town that time forgot called Lewisburg, Pennsylvania. That was Bucknell University and it was a long time ago. The school really hasn’t changed much. They’ve added a few buildings here and there. A few months ago I got my Alumni News and I learned about Lisa McComsey who came out with a book called The Vegan Cheat Sheet. I went, “What? What? Wha..? Another vegan went to Bucknell?” So I had to bring her on the program. She’s here with me in the studio along with her co-author, Amy Cramer. Let me just give you a little introduction. I’m going to read from the book just briefly. Amy Cramer is a vegan chef, coach, instructor and entrepreneur. Actually, I’m just going to have you go to the website and read more about them because I just want to talk to them. Lisa McComsey is a writer, marketing consultant and public speaker. They both co-authored The Vegan Cheat Sheet. Welcome to It’s All About Food Lisa McComsey and Amy Cramer! Lisa McComsey and Amy Cramer: Thank you. Caryn Hartglass: Great! When I was at Bucknell, we had a vegetarian meal plan. We had this guy, Hank Ross. Was he there when you were there? Lisa McComsey: Yes he was. Lisa McComsey: [Laughs] We’ve passed each other on the lawn at Bucknell at some point. Caryn Hartglass: I guess so! I graduated in ’80. Lisa McComsey: I was ’81. Caryn Hartglass: ’81 look at that! Oh my goodness. Well, destiny wanted us to get together at some point. I remember (this wasn’t vegan) one of the first dishes I ever made in my freshman dorm room, Roberts, that was my freshman dorm room. We decided we wanted to cook and make vegetarian lasagna. We collected as many saltine crackers as we could from the cafeteria for our breading [all laughing]. It was pretty good but I think we’re all better cooks now. Ok. Lisa McComsey, briefly tell me your story about how you came to love plants and then Amy Cramer, you can tell me yours. Lisa McComsey: I was not a vegetarian back in Bucknell days. I was very much an omnivore although I believe it was during my college years I decided to give up meat, red meat. I felt red meat was not a healthy choice but for the next several decades I enjoyed poultry and fish. Lisa McComsey: Yes…and lots and lots of dairy. I loved all those foods. I had ice cream sundaes, pizza, and yogurt and all kinds of great things all the time. I was very much into exercise and I think I felt I could eat whatever I wanted without really gaining weight. My motivation for going vegan was two fold, one was my family was about to embark on a get fit competition. We all put money into a pot, made weight loss and fitness goals. The person who succeeded (met his or her goals at the end) won this big pot of money. I was very motivated by the pot of money and at the same time, I talked to Amy Cramer with whom I’ve been friends with for many years. We were colleagues at People magazine many, many years ago. She and her husband had gone vegan and this coincides perfectly with my family fit competition. I thought, I’ll try going vegan for one month, thinking I would hate it. I could only survive on carrots sticks and tofu for about 4 weeks. After that it was back to the usual fare. Once I got over the overwhelm factor, of what am I going to eat and how am I going to make these things – once I got used to it, I absolutely fell in love with it. I felt like a whole new world opened up to me. New foods, new flavors. I discovered new recipes. I just became impassioned with this way of eating. That was 5 years ago. Caryn Hartglass: So many of us have that experience and the trick is, how do we get people to make that leap. There are all kinds of incentives – the 30-day, the 21-day, the 60-day, the whatever, just try it and you start to feel good! Lisa McComsey: My motivation was for health reasons; I read The China Study and Prevent, Reverse Heart Disease. Those two books single handedly convinced me that I needed to eliminate animal products from my diet. Caryn Hartglass: Okay Amy Cramer. How about you? Amy Cramer: My story began when my husband was on cholesterol meds. He was on them as long as I can remember. I had met him in college and probably by the time he was in his 20’s, he had hereditarily high cholesterol. Whenever we would go out to a restaurant, he would order the salads with maybe grilled chicken, no dressing. I would order the hamburger. He really ate like someone that was really trying to watch his health and watch his weight however he still had hereditarily high cholesterol. Finally the doctors just had to put him on meds at a very, very young age and said he would always be on Statin. He hated it. He had been on it for probably since he was 30 and now he’s 50, so he had been on that for 15 years. He was tired of being on meds and thought there must be a better way. We were lucky enough to be living in Cleveland at the time (I thought it was lucky) and we met, actually my sister grew up and knew the Esselstyn family, the same as Dr. Caldwell Esselstyn who wrote Prevent and Reverse Heart Disease. He knew of Dr. Esselstyn’s theory that you can actually go off cholesterol meds and reduce your cholesterol naturally at such an extent and do so without medications. And obviously, prevent and reverse any heart disease. The preventing part was the part my husband was focused on. So he just went full force into Dr. Esselstyn’s program. 100% plant based and then began with no added oils whatsoever which is actually the way you remain. Within weeks, he started going down (with his doctor’s supervision) on his cholesterol meds and now he has been off his cholesterol meds for 14 years and never looked back. Amy Cramer: I did it to really support him and then I found I loved it. Then I took my passion for cooking and made it into my business. Which is cooking oil-free, vegan food for the consumers. Caryn Hartglass: Well Statin can be really dangerous. They may lower your cholesterol but they can do a lot of other damage so it’s good he got off them. This thing about something being hereditary – we’re learning more and more about genes expressing themselves (or not) and they don’t have to express themselves if you don’t give them the opportunity. Caryn Hartglass: Yes. So many people just give up because they say it’s hereditary, “It’s in my family. There’s nothing I can do about it.” And that’s not true! Amy Cramer: It’s with cancers as well. As you know and Dr. Campbell’s book that was basically talking about how people grow up exposed to whatever, things, toxins and predispositions as they were but eating these animal proteins can trigger things that never would have been triggered if you didn’t consume the animal proteins – if you have a plant-based diet. That was my motivation after. You know, I did it for my husband but really that author resonated tremendously with me. It’s just been always a lifetime fear. Caryn Hartglass: Right and you’re both into fitness and you’re both feeling pretty awesome right? Lisa McComsey: Yes, yes we are. Amy Cramer: Energy levels are not – it’s quite the opposite, as far as the energy level, I think people are concerned that they don’t get enough. I think that that’s ridiculous; that’s a fallacy. But also the change in energy level, the feeling that you get after eating a meal, especially the one I would get (Lisa McComsey would get as well) after we consumed daily – that exhaustion, that tired, just wanting to lay down after the meal. It goes away when you don’t consume. At least for us. When you don’t consume those animal based products. Specifically, for me, it was dairy. Caryn Hartglass: I love to hear these stories and fortunately I think we’re making a dent. You mentioned cancer. I am an ovarian cancer survivor. Somehow I got it and I have some theories about how it happened to me but the point is, it’s been 7 and a half years and I’m alive and thriving where unfortunately most women don’t get through it. One of the things I was happy to discover…Unfortunately I was just with a close relative that had just been diagnosed with advanced ovarian cancer and I was with her in the hospital and talking to her future surgeon. She was talking to the nurse about what food she might get and she said she was a vegan and wants vegan food. The nurse didn’t even flinch! It was like, “Yes, no problem.” And I thought, “Whoa! 7 years ago that didn’t happen.” I’m sure it’s not happening everywhere but it’s getting better. People know this word. I think it’s just going to snowball now and go really fast. I’m hoping. Lisa McComsey: I just find when I do talks; there are so many misconceptions about what the vegan diet is. I get up there and see eyes glaze over. “Oh here’s somebody talking about going vegan.” By the end of the talk, I’ve sold 10 or 20 books. People cannot believe the things they can eat. It’s not a deprivation diet. It’s full of flavors and textures. You can eat pancakes and pizza and muffins. Lisa McComsey: And I heard the pancake thing. And I want to find your pancake recipes and we have pancake recipes in our book as well. It’s a rich, rich diet. Caryn Hartglass: Yes, it’s a rich diet and we all end up looking fabulous relative to our peers who aren’t looking as fabulous. It could be a vanity diet too. Caryn Hartglass: I got into it because I didn’t want to kill animals but there’s a piece of it where I want to look as good as I can. Lisa McComsey: You do look fabulous. Let’s just breeze through some of the recipes in here. This is a nice book, The Vegan Cheat Sheet. It’s got some basic information about going vegan and the foods you’ll eat and not eat, the vitamins and nutritional components of different foods and then some recipes. I’m looking at spinach calzones. Amy Cramer: Easiest thing ever. Amy Cramer: I guess, growing up in New York, I love calzones and I was really looking for a way to feed the family. I know my kids; I think if they control what’s inside the calzones, they are a lot more likely to eat it. If I decide what’s going in then they’ll bark at it but if they say, “Mom put in some peppers.” or “Don’t put in any peppers.” or “Just put some spinach inside mine.” or “put some broccoli.” And it’s just as easy to make 4 custom calzones and throw whatever I want in then it would be to make them all the same. I mark each one on top with a little piece of broccoli or a little piece of tomato when I bake them. Everyone gets his or her individual. I find that to be a quick, easy – even a dinner to go when everyone’s in a rush. Caryn Hartglass: Yes, it’s a winner. I’m surprised that I don’t see more of these but it’s comforting. It’s that comfort kind of food packaged in nice bread all tucked in cozy and gooey. Very good. Very good. Most of the recipes in here are simple. There’s the mujadara. Now I’m a big fan of lentils and usually when you get that in a restaurant, it’s like oil and mujadara. Amy Cramer: I have to be honest, Lisa McComsey and I have discovered…I think you’d be hard pressed to taste the recipes in the book and really realize that there isn’t any oil. People feel that you need oil to start everything in your kitchen. Every time you fry something you need oil. I just gave it up, as simple as not doing it. I would pick a real nice heavy dark pan. Everyone figures whatever their favorite pan at home to use and you start your onions dry and then whenever your onions start to stick a little or start to brown, add a little water. Just a teeny bit of water, just a quarter cup. It deglazes your pan right away. Then it’s cooking in its own natural sugars and juices and you enhance the flavor of the vegetable. I think the elimination of oils (or anything processed for that matter) is a pretty quick and easy one. I don’t think it’s noticeable in the flavor of the food. Lisa McComsey: I hear that all the time. People fight me on it. I’m not even the chef, Amy Cramer’s the chef but I find defending it because I’ve tried it and it’s so easy. It doesn’t change the flavor. As Amy Cramer said, it really enhances it in some way because of the way it is cooked and caramelized. Caryn Hartglass: I’m sometimes hesitant to bring up the oil part when I’m just trying to get people interested in the diet and get them off of animal. Then I throw in, “by the way, I don’t use oil in my recipes.” That’s what they focus on and then they really get crazy! What is it in our make up? Amy Cramer: If you follow a recipe…I think it’s just the old fashioned way with the mother starting a pan, first there was onions and then there was garlic and I start exactly the same way my mother did but I just don’t grab for the oil first. I just grab for my good, heavy pan. It tastes exactly the same. It just doesn’t have that oily flavor. We just end up eating much larger portions to keep the calorie intake. You get to eat a lot more of the same delicious food. Caryn Hartglass: More, yes. More food. Lisa McComsey: You mentioned easy, Caryn Hartglass, and I just want to clarify here that I am not a cook, at all, by any stretch of the imagination. I am culinary impaired. Seriously, cooking intimidates me. Amy Cramer’s recipes are so easy and I’m making my way through all of them. They are delicious and if I can make them, anyone can. Caryn Hartglass: I’m really dating myself now but I remember that commercial. “I hate to cook and I wrote the I hate to cook book.” Who was that and what commercial was that for? I don’t know but I remember the book but not the commercial. This oil thing, (I don’t want to belabor) but I think we agree. I believe in fats and I believe fats are healthy in a diet. I get my mine from whole foods like raw nuts, seeds, and avocado. I know that there’s this kind of undercurrent in the vegan world –oil, no oil, little oil, some oil or fats. Caryn Hartglass: Right. I’m very familiar with his work and it’s great. But Dr. Fuhrman, who’s another great plant-based doctor, will say that’s not necessary. He really believes in raw nuts and seeds. So it’s a choice. There’s a lot that’s similar between them and that’s the important part. Plants, eating lots of whole, minimally processed plants. They’re delicious and wonderful and then if you want to split a few hairs, split a few nuts and figure that out, then that’s up to you. Amy Cramer: Right. We may eat cashew creams a lot. Lisa McComsey and I both. Caryn Hartglass: Ah… Can we just ode to cashew cream for a moment? Bow down to cashew cream. Amy Cramer: I’ll buy a pound or two of raw cashews. They have to be raw. Throw them in a Cuisinart, 1 part water to 1 part cashews, puree it and walk away for 8 minutes or so until it’s smooth as silk. I just put it in little bags and throw it in the freezer. Last night I made a lackluster pasta sauce. I really wanted something delicious and rich. It just was boring and I didn’t have anything good to put in. So I grabbed the cashew cream, defrosted it very, very quickly. My house is just like, “This is the best thing you’ve ever made!” Twice a week cashew creams end up in some meal that I’m doing. Then I feel like my kids are complete with their protein and their fats. Especially having kids that are crazy high school athletes. I throw some marinara with some cashew cream in there with some whole grain pasta, maybe some steamed broccoli on top. That’s it. Caryn Hartglass: So Amy Cramer, you have kids. Lisa McComsey, you don’t. Caryn Hartglass: So just Amy Cramer. You’ve got teenage kids. Are they eating the way you and your husband are eating? Amy Cramer: The decision that I had made is that I will keep the home a certain way and out of the home they have their choice of what to do. So I don’t tell them what to do out of the house. In the home we keep it a certain way. I keep it vegan. Occasionally, my kids will sneak in a little Parmesan here or there but that’s basically about it. The home is 100% vegan and they enjoy. I have to be honest, as they get older, I’d be surprised if they all didn’t become vegan. They’re becoming more and more vegan naturally, on their own. One is a vegetarian and two occasionally (when they go out with their friends) they’ll order something with a little chicken or meat in it but they end up leaving it out (which is pretty hilarious). They think they’re just accustomed to it. I have a strict home and whenever I pack lunch for them (which is quite often) and then every single breakfast and dinner. So the majority of their food, yes, I get to control. Caryn Hartglass: Great. And Lisa McComsey, your family, your siblings and everyone around you…are they supportive of this diet? Lisa McComsey: Everyone is supportive. I have no converts however. Lisa McComsey: Well it’s hard. Caryn Hartglass: I think it’s harder as we get older for lots of reasons. Not just because it’s a behavioral thing. But when we have been doing something for so long and when we say what I’ve been doing hasn’t been right…That’s kind of tough. I think it’s easier when we’re teenagers and we’re rebellious. We want to do something contrary. That’s what I was all about when I was younger. I don’t want to say, I became a vegetarian because I wanted to be contrary but it was part of my nature. I was comfortable being contrary. So when I realized I didn’t want to kill animals, it was easy. I think it’s a lot harder for adults. Amy Cramer: I think also their body gets confused messages. I know my sister would say that maybe it’s that time in her cycle. “I crave iron, I need iron, and I have to eat meat.” My body would never ask for meat. My body would ask for more grains and spinach if I craved iron. So I just don’t think the bodies are familiar with the messages. If you crave certain things, there’s probably many other ways to get it. Caryn Hartglass: That’s a really interesting thing to talk about. Craving, and how we misinterpret those feelings and messages. We think we know what we need and we don’t have a clue. Lisa McComsey: I also think we get messages from the time we’re children about what nutrition is. We take health classes, we have food pyramids, we hear from the milk board that we need dairy, we hear from the egg board, we need eggs…All of that. And I find that a lot where people will say, “Well, milk is good for you. I have to have milk because where else am I going to get my calcium and vitamin D?” So it’s a matter of putting those myths to bed. Caryn Hartglass: Ok. Wow. We just have a couple minutes. I can’t believe it’s already…it’s that fast. Wow. Where can people find you and find this book? Do you have a website? Lisa McComsey: Our website is http://www.vegancheatsheet.com. We’re on Amazon, we’re on Barnes and Noble. We’re in a lot of independent bookstores. We’re in my local health food store. Caryn Hartglass: Amy Cramer, you have a business and where are you? Amy Cramer: Right now my business is distributed in a supermarket chain in Chicago and Cleveland called Heinen. In the next 6 months to a year (all goes well) we plan to be around the whole U.S. and it’s called Vegan Eats and http://www.veganeats.com is the website. Caryn Hartglass: Vegan is the word and it’s going to explode and we’re going to be there. Any last minute…Do you have a favorite recipe we didn’t mention? Or some last magic words? Lisa McComsey: We wrote the book because we wanted to show how easygoing vegan really is. So for anyone who thinks it’s complicated, hard or deprivational…pick up the book. We make it very easy, step-by-step. The recipes are fabulous. One of my favorite recipes is the curried butternut squash soup. What about you Aim? Amy Cramer: Oh gosh, I have to say the tomato rosa sauce with cashew cream. I make it probably twice a week. Some tomato sauce pureed with the cashew cream and a shot of vodka when no one’s looking and everyone’s happy. One for the pot, one for me…..
Caryn Hartglass: [Laughs] Well that’s great. Hopefully we can all get together and share a meal sometime. Amy Cramer: That would be great. Caryn Hartglass: That would be fun, I’m sure. Well thanks for joining me on It’s All About Food. I’m sorry we’re at the end of the program, but here we are. Visit me on responsibleeatingandliving.com and I do want to hear from you. I get real excited when I hear from listeners about their progress and their challenges. I just heard from somebody who had their 3rd veganniversary. I’m so proud of you Jim, for doing that! Have a delicious week.